In just four minutes you'll discover where you're on track to GROW your business and what areas you need to focus on to get the SUCCESS and FREEDOM you want. 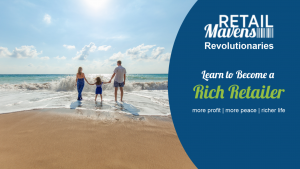 RETAILMavens is led by industry thought leader and former retailer Cathy Donovan Wagner who – along with her team – helps to create more cash flow for retailers while also helping them to continuously see more profit. Through strategic based solutions, industry-leading insight and consistent research in the retail industry, the RETAILMavens team combines the art and science of retail so that store owners can achieve more profits, gain stronger results for their store and as a result, sleep better and have fun! In other words, RETAILMavens helps merchants become “Richer Retailers”. Independent retailers bring communities to life. But let’s face it… wanting to run your own retail store and doing so profitably do not always go hand-in-hand. To help make sure retailers keep their dreams alive, RETAILMavens teaches retailers the science behind building a successful and profitable business. From managing cash flow to planning inventory assortment to implementing systems to help merchants thrive, RETAILMavens powers retailers with the ability to focus on making more money. An added bonus? These efforts help retailers concentrate their energy on why they started their businesses in the first place. 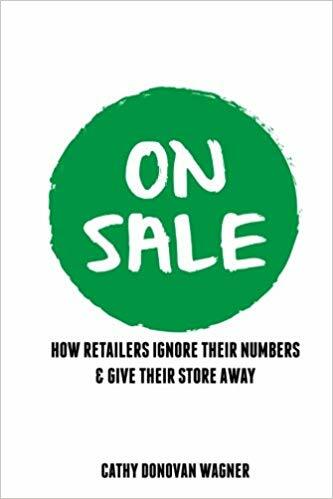 Want to know once and for all which numbers to look at, which benchmarks to use when judging your success and how to maximize your store's profit? Learn once and for all the BEST way to move more product than ever before and put more cash in your pocket. is designed from the ground up, bringing you my most powerful tools to get you more profits, better results, and have more fun in your business. You will have all the tools necessary to make more money year-round. But here’s the key: not only will you have the tools, I will give you the exact steps on implementing each of them in sequence. You’ll truly use your new retail knowledge to have a breakthrough in your store – and you’ll notice a difference within the first 90 days. Really. Understanding the science of retail.